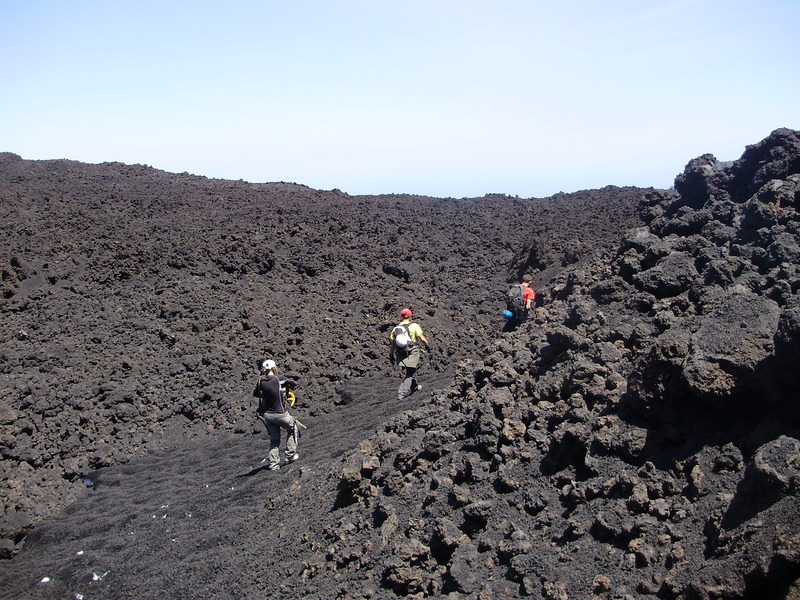 Hike and Bike Tour Etna – Sea is a full immersion in the majestic, imposing and lush nature of the island. 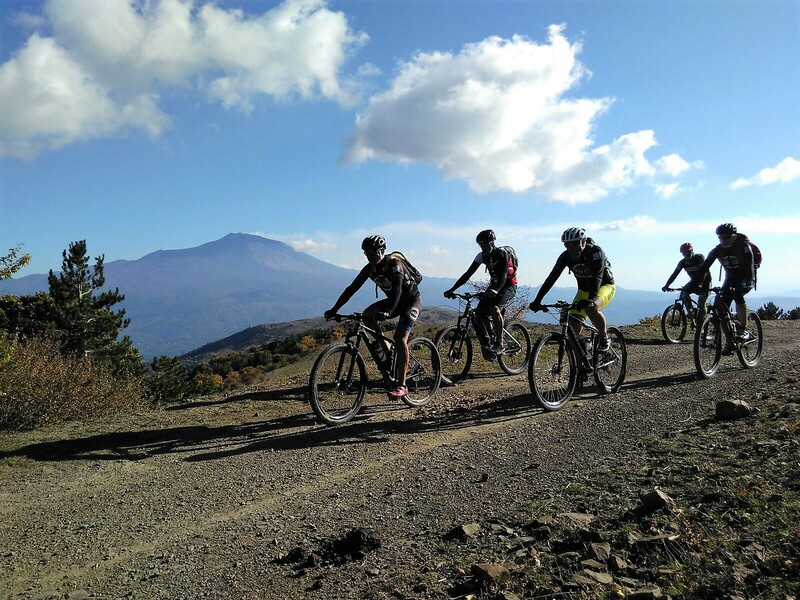 Three excursions on foot and three on mountain bike to experience and discover Mount Etna, the Nebrodi, the Alcantare Valley, to end up on the shores of the Ionian Sea. 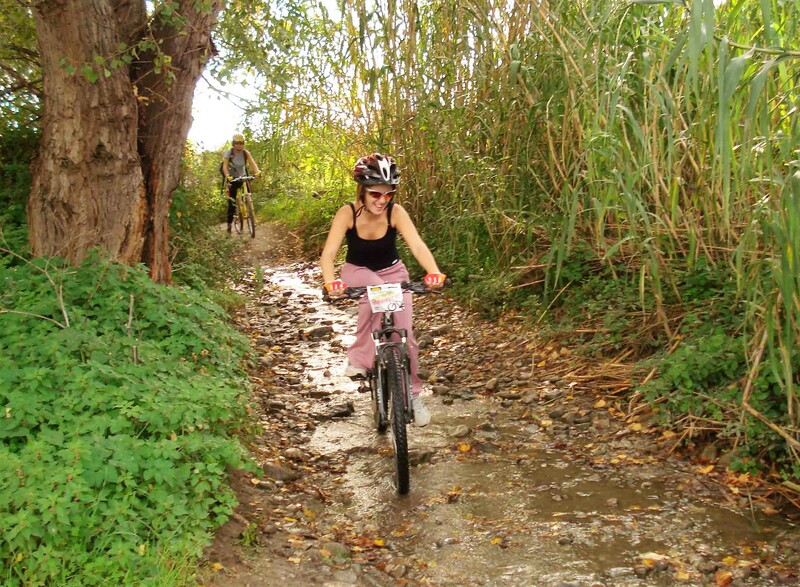 Why: the only program in Sicily that combine mountain bike and trekking, dedicated to real MTB and trekking experts. Hike and Bike tour Etna-Mare is a full immersion into the imposing, wild and majestic Sicilian nature. Three hiking days and three mountain biking days to live and discover Mount Etna, the highest active volcano in Europe, the wild Nebrodi Mountains and the Alcantara Valley, ending to the Ionian Sea. The first itinerary will lead us to the discovery of the magnificent and solitary Valle del Bove. It is an ancient volcanic complex, 200,000 years old. The departure is settled at the bottom of Rifugio Sapienza at an altitude of 1800 meters, and from here a path will take us to the edge of the Vale del Bove and once reached 2400 meters, we will admire the majestic landscape in all its grandeur. After the packed lunch, we will go down following a path that from the Donkey Back way will lead us to the Sapienza Refuge. From Mount Etna, we continue out trip on triails which take us through the Parco dei Nebrodi with its breathtaking landscapes. We start from Floresta, the highest town of Sicily located at 1200 meters, which with its green landscapes even in summer reminds us Northern Europe. But we are in Sicily! Reached by van the beginning of the track called Altomontana. Its runs along Monti Nebrodi or Sicilian Apennines, and reached 1450 meters. During your walking, you can admire on the left the Etna and on the right the Tyrrhenian Sea and possibly the Aeolian Islands. The clearings, the green pastures, the rivers and the herds make us think of an alpine landscape. Along the way, we will meet a mountain lake before returning to the starting point. Return to Floresta (or Randazzo) by van for dinner and overnight stay. 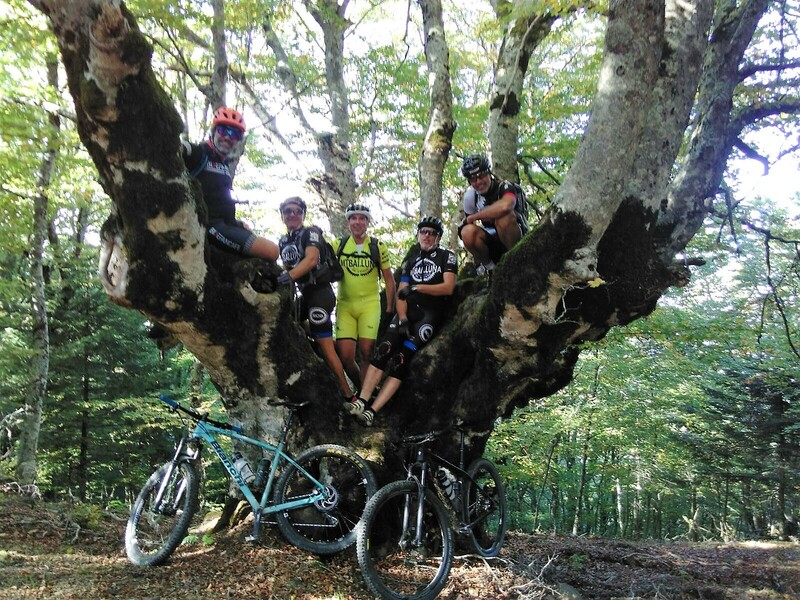 From Floresta, we will ride down the River Alcantara valley towards Castiglione di Sicilia, a thrilling ride through the Nebrodi mountains park’s dense forests with soaring aerial views, featuring a great variety of native flora and fauna. We pass by the medieval Randazzo and its beautiful churches and head towards the Alcantara Valley and the Ionian Sea along an ancient Roman road, known today as the ‘wine road’ due to the many wineries in the area. We cycle down along the river towards the town of Castiglione di Sicilia, where we will stop to admire its imposing Castle, built on an ancient Greek fortress, a beautiful building dominating the entire Valley. Dinner and overnight stay in Castiglione di Sicilia. 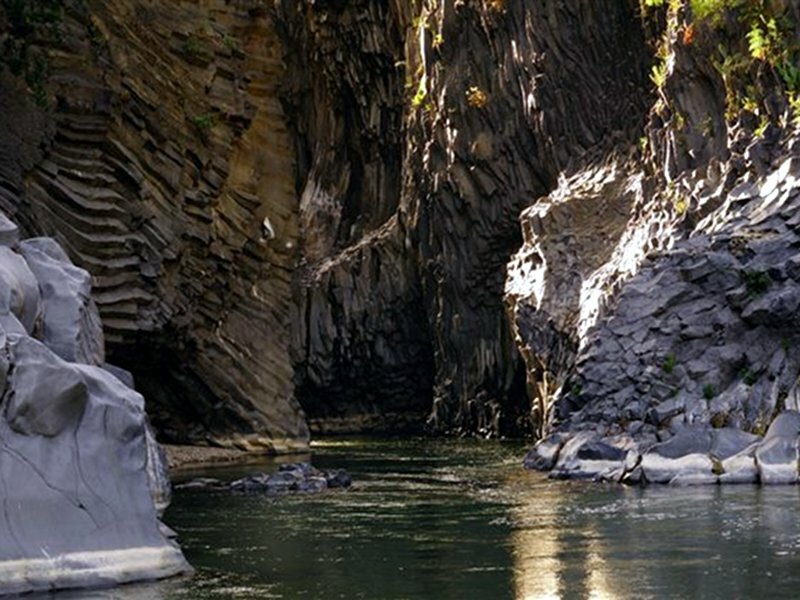 Day dedicated to the discovery of the Alcantara River. The departure set at 600 meters nearby the Agriturismo, will make us discover an enchanting landscape, where the vine of Etna is grown and not only. The route, characterised by trails, away from traffic and ancient “trazzere” or country roads, will make us discover suggestive corners. In gradual descent, we will go to the discovery of ancients Sicilian Masserie o farmhouse, Byzantine churches, Norman bridges and above all the Alcantara river, with all its charm remained unaltered until present days. The path will end right at the foot of the famous Alcantara Gorges. Here it will be possible take a refreshing swim in the cold waters of the river. Return to the farmhouse by van. Transfer from Castiglione di Sicilia to airport (Catania). He begins the adventure in the world of alternative tourism 10 years ago … Naturalist guide, registered to A.I.G.A.E. , he is a traveler, a tourist, a curious always looking for the surprise … Sicily. His work is a daily journey within this continent made of light and dreams. His philosophy is the pleasure of walking in nature understood as a priority need for our body and mind, to discover ourselves and see the landscapes with different eyes. His specialties: trekking of various levels, naturalistic itineraries within the Sicilian Regional Parks and Nature Reserves, birdwacthing, excursions for schools, nature walks. Maurizio has been involved in the MTB scene for about 20 years and loves mountain-biking because of the opportunity it has given him to discover and experience Sicily and its enchanted places in a special way. 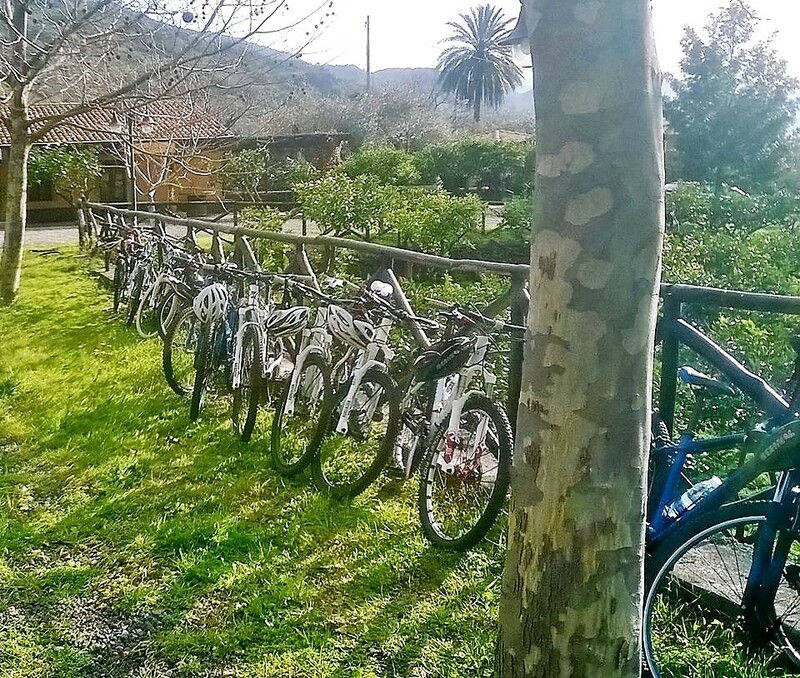 In addition to being a founder of the Mongibello MTB Team, he has been active on the biking scene for many years, promoting cycling in all forms in southern Italy and Sicily. In the past he has organized cycling events such as The Catania Bike Festival and is the brainchild of the annual Etna Marathon mtb race and The Etna Marathon Tour stage-race. He is an expert on the bike trails and dirt tracks of Mount Etna and the Peloritani mountain range, a lover of good food and wine and like all good Sicilians, has a penchant for desserts made with ricotta! From April to October, depending on the snow-making of the trails. What to wear/take with you? your spirit of adventure and fun! Medium-level hike and bike excursion (or tour), which includes long off-road sections with fairly challenging climbs. It is possible to meet technical features both downhill and uphill, even if not long lasting. Those who choose this excursion (or tour) are prepared cyclist with a mediium/high skills. PRICE: € 1.150 per person in a doubl/twin room. DISCOUNTS: 10% discount for pre-arranged groups of 6/8 people. On request: quotation for private tour for 2/4 people. 7 nights accomodation in a double room on half board (breakfast and dinner) including water and house wine. anything not included in the item “The price includes”. Accommodation in a double room: if you are travelling alone it is possible to share the room with other participants in the trip. Accommodation in a single room: on request with supplement, on request. IMPORTANT: The tour is guaranteed with a minimum of 6 participants and subject to confirmation 21 days prior to the departure date. In the absence of reaching the minimum number, you will be contacted within 21 days prior to departure for an alternative proposal. THE PROGRAM MAY SUBSEQUENT CHANGES TO DRIVER DISCRETION. On request we can book your flight.